Every Christmas, we try to make something for the kids. This year, we totally outdid ourselves with this huge dollhouse. And it was so worth the effort. It has been played with constantly, especially last week while we were stuck at home with the flu. 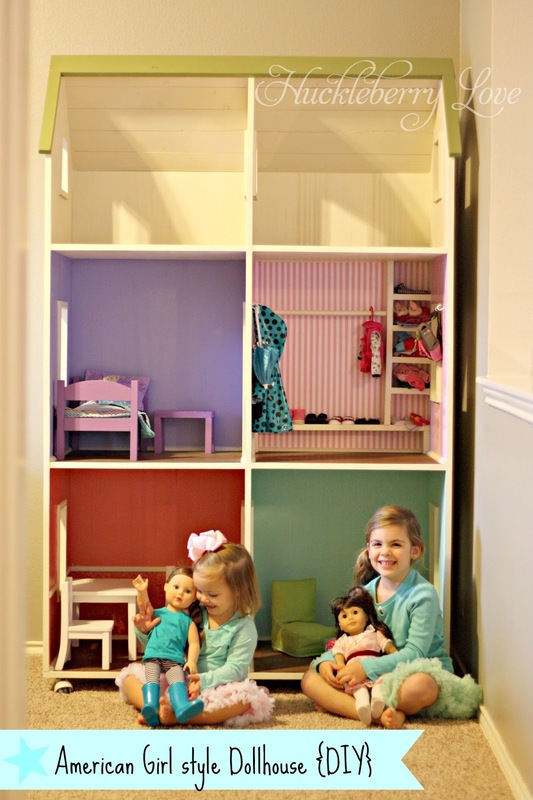 You see, we couldn't just build a wardrobe and bed for Ella's new American Girl doll, we just had to go all the way and build this giant dollhouse. Once I saw Ana White's plans, my girls I just had to have it. 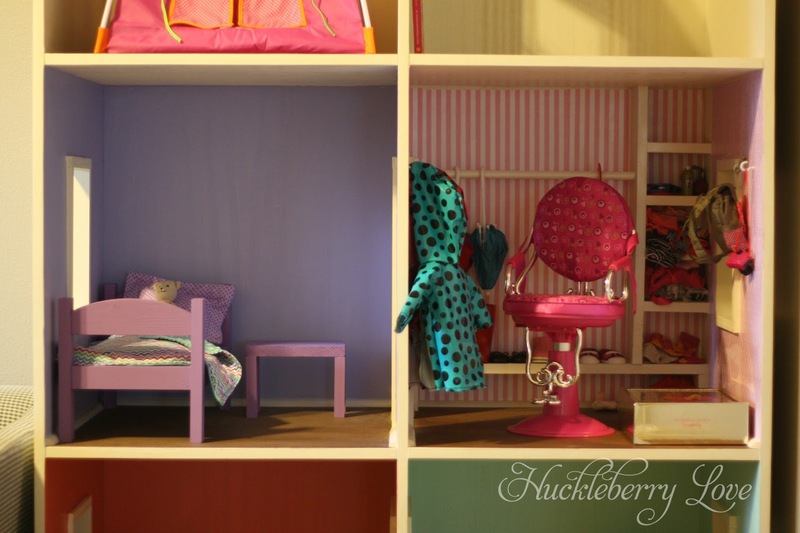 I love that this design has doorways for the dolls to move from room to room. And it seems like it's the perfect size for two girls to play with at once. 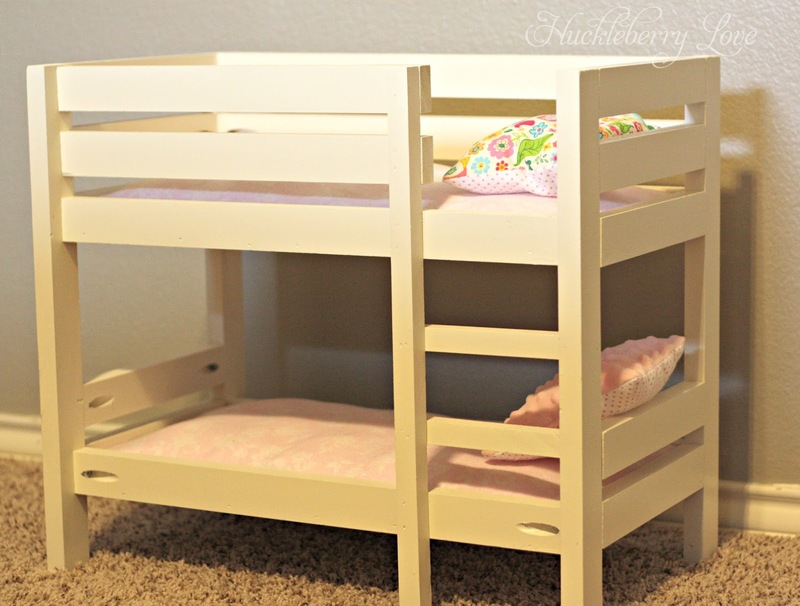 Since the girls have three dolls, we made an extra set of doll bunk beds to fit in front of the house. Because everyone needs a bed, y'all! 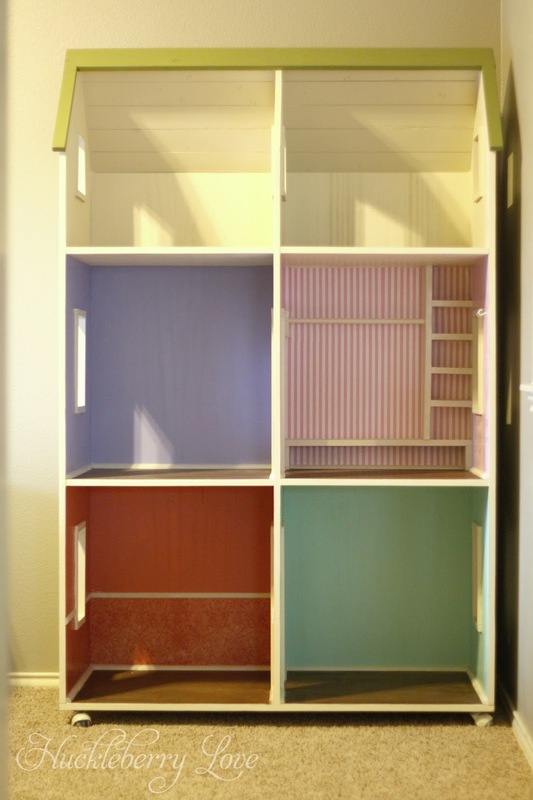 Like I said before, we followed Ana White's American Girl Dollhouse plans. I absolutely love that all of her projects give a shopping list and estimated cost, so you know what you're getting yourself into. 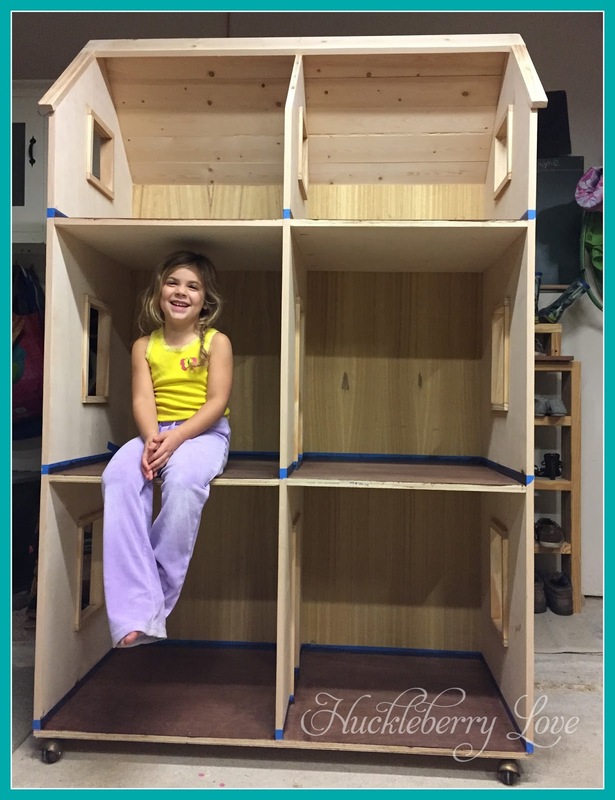 The dollhouse came together fairly easily, and we love that it's strong enough to hold our girls, if they so decide to climb on/in it. The main addition to the plans, besides paint & furniture, was the trim. We added quarter-round to every room, to finish it off like base board moulding. We designated the bottom rooms as the living room, and dining room, the middle rooms as the bedroom and the closet, and left the top rooms as extra storage. We didn't want our girls constantly climbing to the top, so it just made sense to kind of leave them empty. 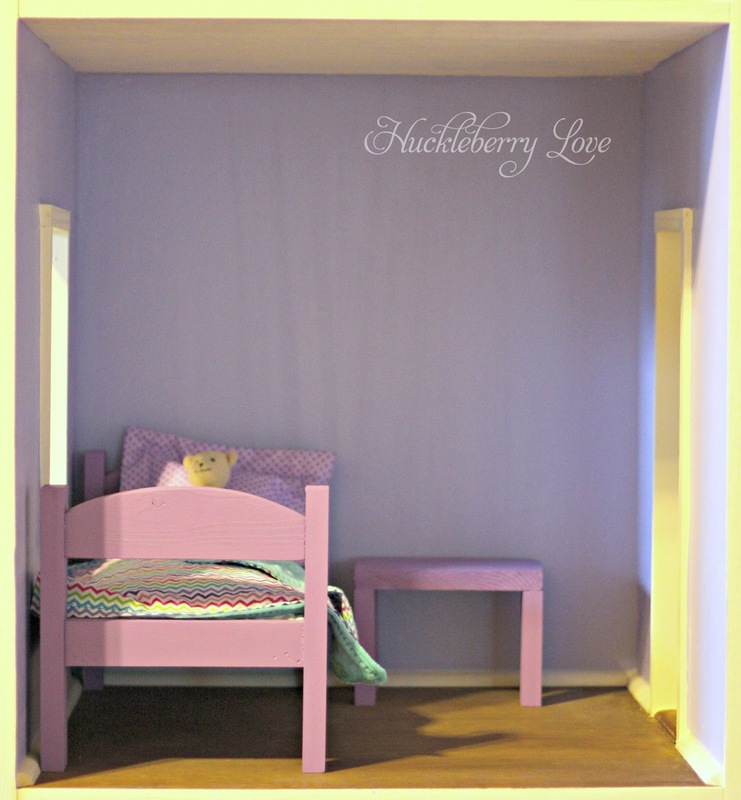 We painted the bedroom a lavender shade. 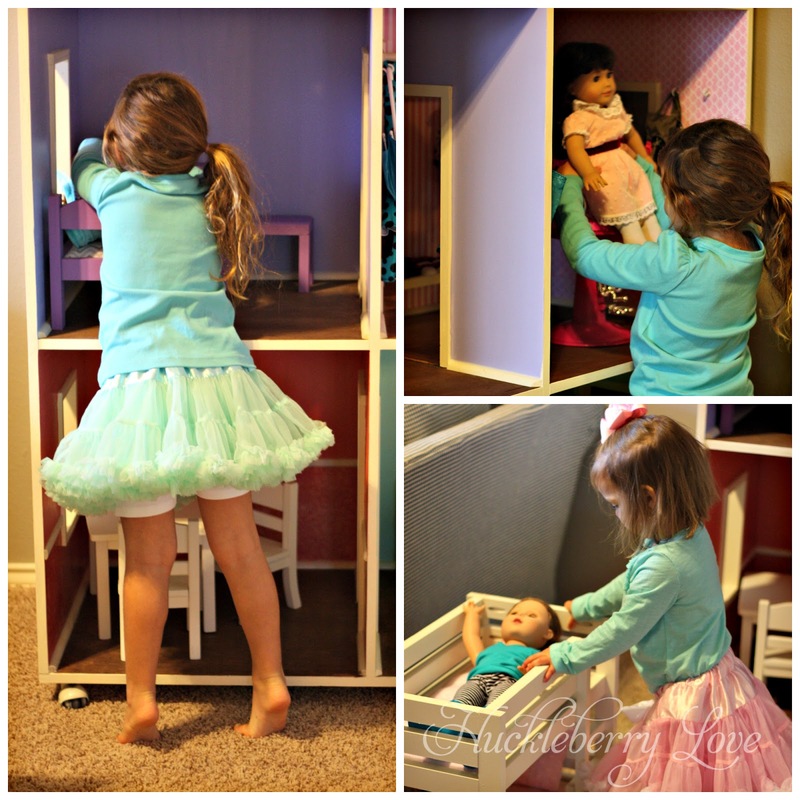 My husband built 'kid's doll kit' from Ana White's plans and Ella helped put it together. I also made some bedding with fabric scraps that I had in my stash. For the dining room, we painted the top in a coral color and the bottom third was papered with some fancy scrapbook paper and mod podge. My husband added pre-painted 'chair rail' to complete the look. Ella bought this Table and Chair Set with some Christmas money. 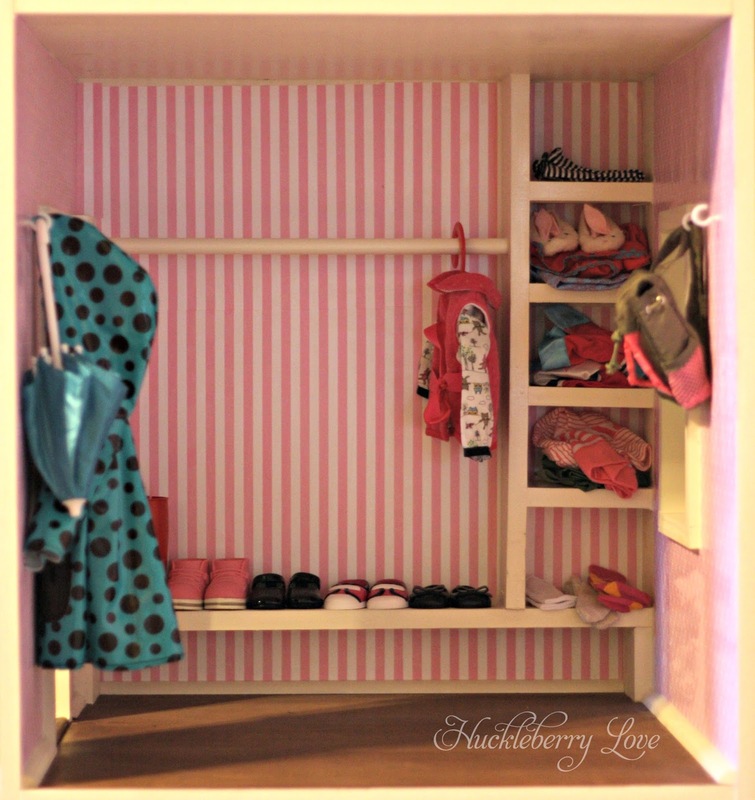 In the closet, my husband added hooks, shelves, and a rod for hanging clothes. 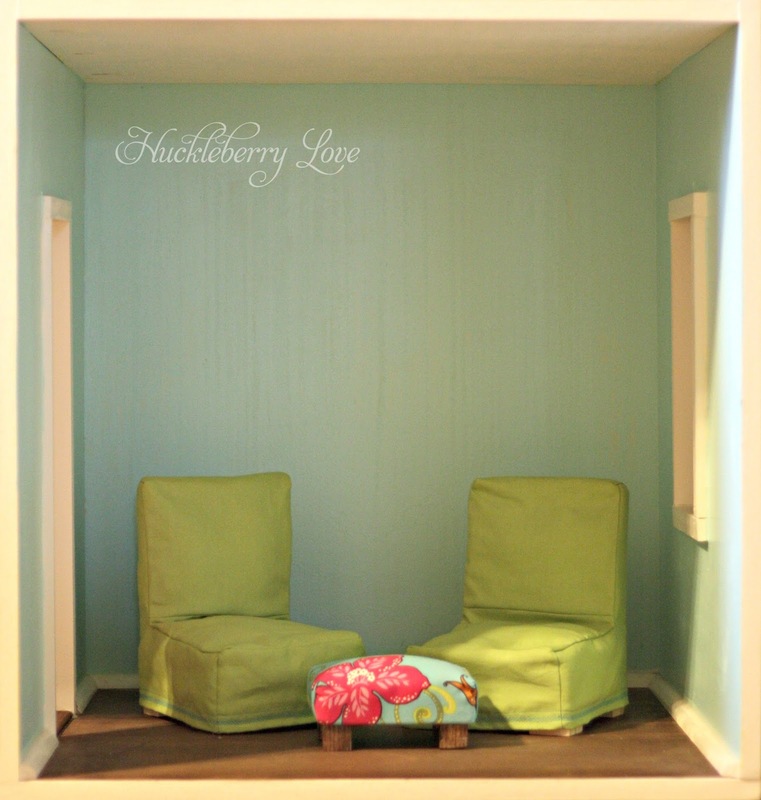 Again, I used mod podge to paper the room with some super cute scrapbook paper. Each room takes roughly 12 sheets of 12" x 12" scrapbook paper to cover. 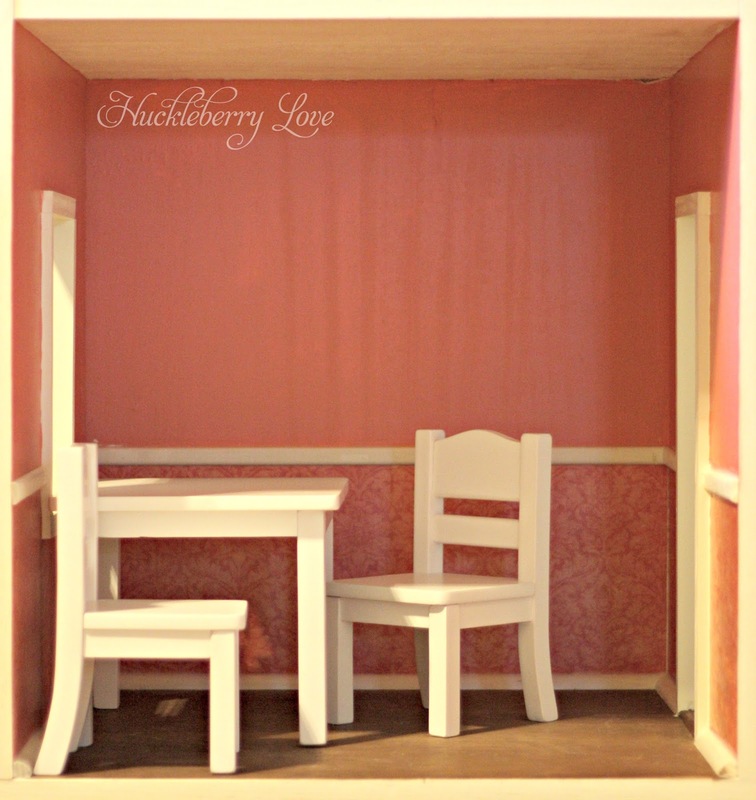 There are so many projects that I can't wait to start on with this dollhouse! It's a great canvas for creative ideas from these two little crafters in the making! Stay tuned for more American Girl doll themed tutorials. What is your favorite thing that you've made for your kids? Great job!! I love the way that you decorated the house. I'm trying to talk my husband into make one for our daughter. She recently got into AG dolls so I really want her to have a dollhouse for them. We actually had this same dollhouse built for our daughter. Can't wait to give it to her at Christmas! We want to do a quarter round or trim for the baseboards. Can I ask what you used and where you got it? 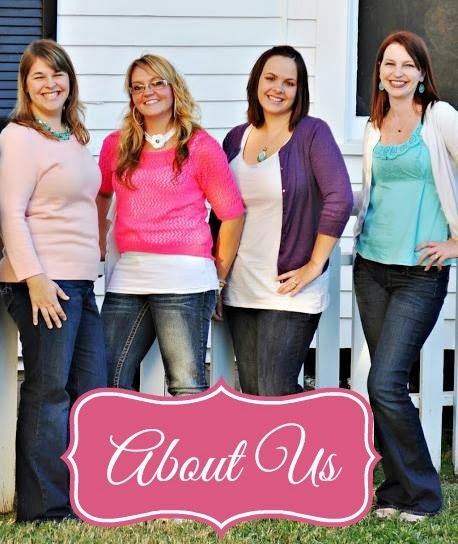 Your house looks great!